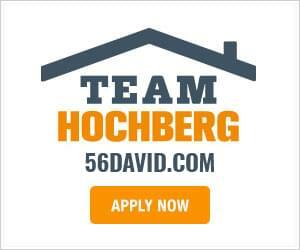 David Hochberg is joined this week by Corey from J.C. Restoration, MegaPros Joe, Greg from Blue Raven Solar, Gary Novel, and Byron from Andreas Construction. David Hochberg is joined this week by Tom from Builder Supply Outlet, Michelle from ComEd, and MegaPros Joe. David Hochberg is joined this week by Credit Enhancement Expert Gary Novel of Kredit Guru, realtor Amy Kite of Keller Williams Infinity, Roy Spencer of Perma-Seal Waterproofing, and Joe Hogel of MegaPros. David Hochberg is joined this week by Donna Sattler of RE/MAX At Home, Credit Enhancement Expert Gary Novel of Kredit Guru, Real Estate Attorney and Estate Planner Dave Schlueter, and Jeremy Hogel of MegaPros. David Hochberg is joined this week by Igor Murokh of Mr. Floor, Attorney Larry Smith, Credit Enhancement Expert Gary Novel of Kredit Guru, and Joe Hogel of MegaPros. David Hochberg is joined this week by Steven A. Leahy of Opem Tax Resolutions, Tom Jahnke of Builder Supply Outlet and the Edge Kitchen and Bath, Credit Enhancement Expert Gary Novel of Kreditguru, Kelly and Dave of Executive Green Carpet Cleaning, and Joe Hogel of MegaPros. David Hochberg is joined this week by Donna Sattler of RE/MAX At Home, Cory Ambrose of JC Restoration, and Big Lou of MegaPros. David Hochberg is joined this week by Tom Jahnke of Builder Supply Outlet, Cory Ambrose of JC Restoration, and Jeremy Hogel of MegaPros. David Hochberg is joined this week by Credit Enhancement Expert Gary Novel of Kreditguru, Steven A. Leahy of Opem Tax Resolutions, and Outdoor Architectural Expert Michael Baines of MegaPros. David Hochberg is joined this week by Tom Jahnke of Builder Supply Outlet and the Edge – Kitchen & Bath, Igor Murokh of Mr. Floor, Credit Enhancement Expert Gary Novel of Kreditguru, and Joe Hogel of MegaPros. 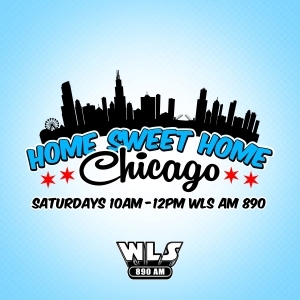 David Hochberg is joined this week by WLS-AM morning show host Ramblin’ Ray Stevens, realtor Amy Kite, Credit Enhancement Expert Gary Novel of Kreditguru, and Joe Hogel of MegaPros. David Hochberg is joined this week by ComEd Energy Doctor Ed, Michael Houston of Lindholm Roofing, Credit Enhancement Expert Gary Novel, and Joe Hogel of MegaPros.